Distinguished Tulane Medical and Public Health Faculty and Tulane Health Sciences Alumni. Selected highlights on their contributions to medical science. 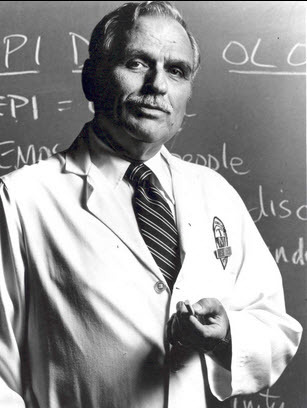 James E. Banta M.D., M.P.H. "Good health for all people that's what public health is all about" says Dr. James E. Banta, dean of the Tulane University School of Public Health and Medicine. ... New Orleans Clarion Herald (Health Careers Supplement), January 28, 1982. Dr. Banta was first to cultivate dengue virus in tissue culture and to demonstrate cytopathogenic effect. Banta, James E. Academic education for public health: The Tulane example. Journal of Community Health. 1987 Fall;12(2-3):71-72. Banta, James E. From international health to global health: commentary. Journal of Community Health. 2001 Apr;26(2):73-6; discussion 77.